"Love all creatures! Love everything that has life!" 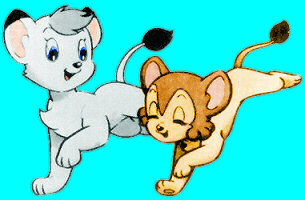 "My first love was Kimba the white lion. 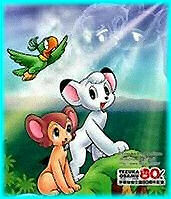 When I was a little girl, I thought I would grow up and marry Kimba." When they saw our dubs back in Japan they were very happy. Actually, we were told they flipped! than the standard Saturday morning fare. --Joseph Jon Lanthier writing in Slant magazine. the basis for The Lion King. can be subtler and more effective. one of the best things that can happen to a kid. --Robin Pen writing in Eidolon magazine. Something on this page was changed on 19 November 2009.